Welcome to my website. 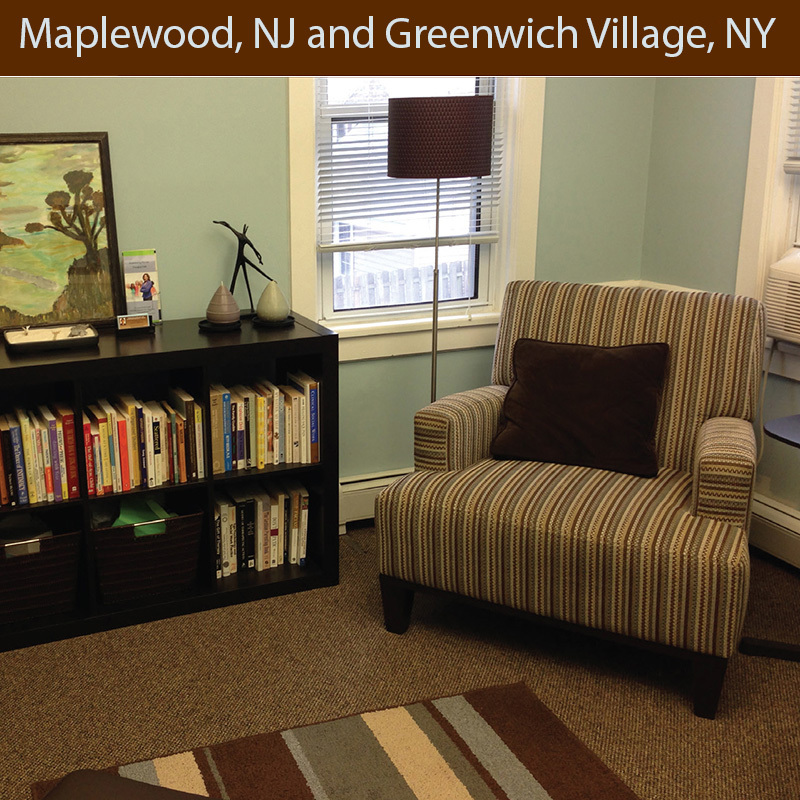 I am a psychotherapist in private practice in Greenwich Village, New York and Maplewood, New Jersey. This website is meant to inform you about my practice and my experience. It also serves as an educational and informational tool for clients and prospective clients. 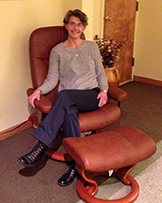 I have 20 years of experience in individual, couples and group therapy as well as in supervising other clinicians. My experience includes working with issues such as anxiety, depression and chronic stress, marriage and relationship problems, chronic pain and illness, substance abuse and addictions, Lesbian, Gay, Bisexual and Transgender issues, grief and loss, Attention Deficit Disorder (in individuals and couples), trauma and PTSD, eating disorders, parenting issues and major life change. Entering therapy can be an important step forward and my personalized therapeutic approach can help you address your issues and learn to successfully handle the inevitable changes of life. I hope you will find the information on this website useful. Feel free to contact me if you have any questions that were not answered by your visit to my website. Maplewood, New Jersey I am located in Maplewood, New Jersey at 108 Baker Street, Suite 202. My office is conveniently located 30 minutes outside of Manhattan by New Jersey Transit train. If coming from Manhattan, get off at the Maplewood Train Station and my office is one block from the station. Greenwich Village, New York I am located at 15A Sheridan Square, Suite 5. The office is just one block from the West 4th Street station (A, C, E, F, B, D, V trains) or the Sheridan Square Station (1 train).